A 3D topo map of the Central USA. 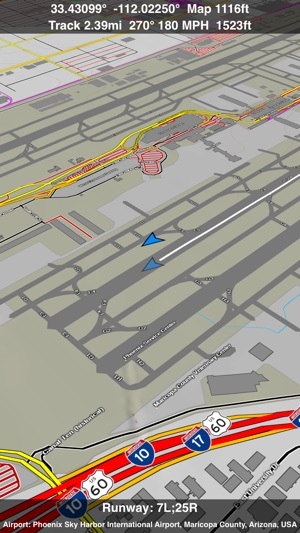 The vector map data is contained within the app and can be used without an internet connection. Use it in a car, a boat, a plane or while hiking. It is like having more than a third of the country in your pocket. Just wanted to let you know that Scenic Map absolutely destroys any other topo map! You should start posting on the 4x4 sites, as the maps are perfect for off roading. 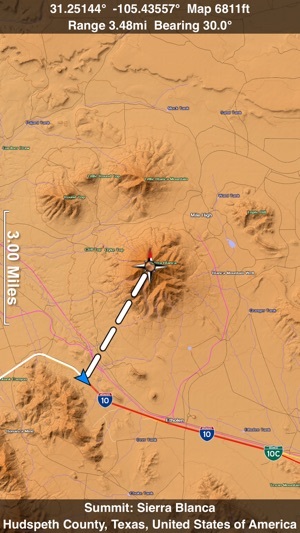 I have an FJ Cruiser and frequently make expeditions into New Mexico’s back country (Jemez, Gila National Forest, Cabezon Wilderness, etc) and did not feel that the topo maps that come with my Garmin 3790 are worth the $80 that Garmin charges for them. They also are not optimized for Garmin displays, so they look like crap and it’s hard to get the big picture of the terrain that your in. I was desperate to find a product that would give me a much more detailed view of the terrain, and BLAM!!! Scenic maps to the rescue. With these maps, I know can scout from the comfort of my couch, the routes that I’d like to make runs on. Basically, it’s a life saver due to the fact, that I know what lies ahead in terms of the ruggedness of the terrain. Please keep up your outstanding work! I am really looking forward to new versions/updates! This summer I’m planning a trip through the Gila National Forest, which will take us through over 150 miles of forest/fire roads, in the remote back country and I have never felt more confident in taking on anything that the back country has in store for me thanks to Scenic Map. I purchased the Western USA version of this app some time ago and love it so much I bought the others. 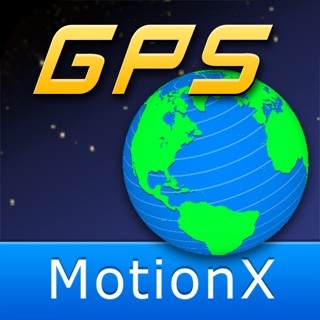 This mapping app is great for planning driving trips and also for recording GPS tracks. I use it as a moving map so I can see what is around me as I drive. I have the iPad mounted on my dash where I can see it without having to look away from the road. For driving directions I use a TomTom GPS as well. I now have a collection of my driving trip tracks that I can play back with Scenic Map. That is a pretty cool feature because I can see every stop I made. 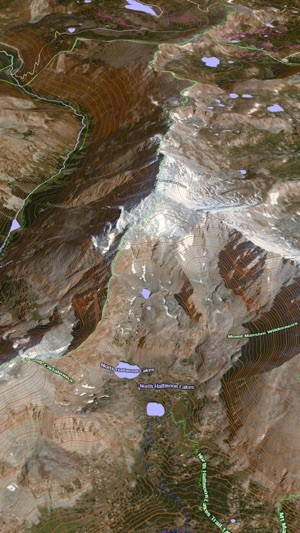 I also export my tracks as GPX files which I can load into other programs such as Google Earth. This latest version has a nice feature that lets me fly around the country in 3D. There are lots of options to control how the map is displayed. I can turn off everything but the terrain. I can even turn that off and end up with a flat contour map. There is even an option to display the ground in its natural colors and see how the colors change month to month throughout the year. 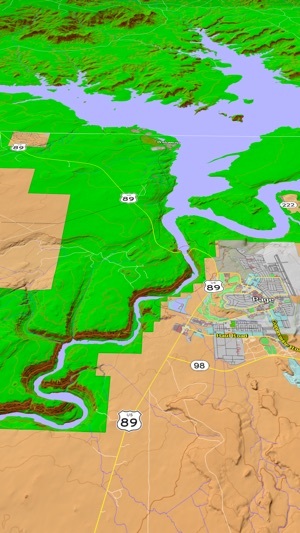 Get the free Scenic Map Grand Canyon if you want to try out this app before you buy. Don't be surprised if you end up owning all of them like me. First, I totally agree with the description listed by the seller. His preview screens show what you can expect, and the app does what he says it will do. Great detail, terrain, roads. I bought the Western US, I travel back roads in Utah, WY, and CO, Just bought Central US, more roads I travel often. I have not used this with or for GPS tracking, other reviews reported it works well in that arena.